If you’re a regular reader of this trending blog, you may have heard me talk about the early years of my marriage before. As I’ve written in previous articles, my husband and I got married young, and speaking for myself, I had no idea what I was getting myself into. I believed my husband to be perfect, or at least as close as a human could get to it. After all, we both loved God, we never fought, and he always made me happy. What could possibly go wrong? Of course, I know now how naive I was back then. It didn’t take long discover that my husband wasn’t perfect, and I wasn’t either. My expectations of a perfect marriage with a husband who always made me happy were quickly foiled. And we both realized that our marriage wasn’t going to last unless we made some drastic changes. I’m sure our story isn’t uncommon. Many of you are probably nodding along with me, thinking of your own marriage expectations, and how they weren’t met back then… maybe they still aren’t being met now. 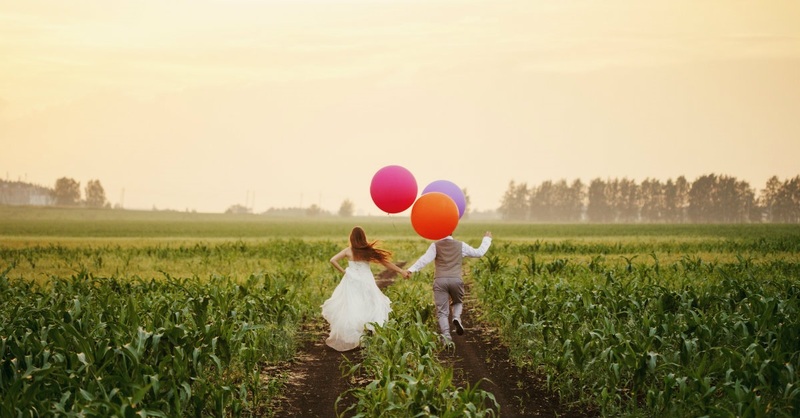 Blogger Kendra Dahl writes that she was once one of us - the group of people who believe that marriage will always make us happy. She expected her husband to love her, to cherish her, and to keep her nourished and content at all times. When he didn’t live up to these expectations, she was left disappointed and frustrated. She believed that her problems were all his fault. But then she learned to apply the Bible’s most important lesson on marriage. Yes, there is a lot here to digest, but every word of these verses is important. Dahl says that the root of this Scripture is complementarity. Put simply, man and wife are to complete one another. Our qualities bring out the best of our spouse’s qualities. We are to submit to one another, and live as a representation of Christ and the church. Dahl writes, “The problem comes when we (wives) hear this teaching for our husbands and want from them what only Jesus can provide. We become critical and grumbly. Words from Ephesians ring in our ears: Is my husband loving me? Nourishing and cherishing me? Sanctifying me? Washing me with the water of the word? What Ephesians 5:22-33 doesn’t say is that your spouse is not and will never be Jesus. “Christ is the head of his bride, the church. He’s her Savior. He loves her and gave himself for her, sanctifying and cleansing her, presenting her spotless to himself. Jesus loves his bride as his own body, nourishing and cherishing her,” Dahl says. So what does that mean for the spouse who is feels unfulfilled in marriage? It means you’re looking in the wrong place. True fulfillment can only be found in Christ. We should absolutely strive to live our marriages as prescribed in Ephesians 5. But sometimes we will fail. Our spouse will fail us, and we will fail our spouse. But through our dependence on Christ, we will have the strength to forgive and carry on with the sanctifying work of marriage. The road to a lasting Christian marriage is not an easy one, but so worth the sacrifices along the way. That, brothers and sisters, is the marriage God wants for you. Carrie Dedrick is an editor of Crosswalk.com. When she is not writing or editing, she can usually be found teaching dance classes, running marathons, or reading with at least one adopted dog on her lap. Carrie and her husband Dustin are anxiously awaiting the arrival of their first baby, a daughter, in October 2017.